"An Exceptional Performing Arts College"
The Arts are central to life at Tiffin. The School’s ‘Arts College’ status refers to its excellence in provision of both teaching and wider opportunities: innovative teaching and learning styles, together with an extensive co-curricular programme, ensure that creativity, community and enjoyment lie at the heart of the Tiffin experience. There are exceptional opportunities for involvement beyond the classroom in the Performing Arts. Visit the websites of the Tiffin Boys Choir, Tiffin Music Department and Thames Youth Orchestra to find out more. .
Tiffin has a national reputation for exceptional music-making. Central to its success is an imaginative, popular and inclusive programme of classroom music lessons, which supports a wide range of co-curricular opportunities. Each year, Tiffin musicians typically present more than fifty performances, ranging from concerts of major choral and orchestral works (recently including Bach St. John Passion and Mendelssohn Elijah), to chamber music recitals, jazz evenings and music theatre. All Tiffin boys sing from their first day at school: it is quite usual for members of the rugby team also to be in the choir. In their first year, each boy will compete in the Year 7 Inter-Form Singing and House Singing Competitions, perform the Year 7 Jazz Cantata - the finale to the School Concert, and many will sing their first major choral work as members of the Tiffin Oratorio and Tiffin Boys’ Choirs. Since its foundation in 1957, the Tiffin Boys’ Choir is one of the few state school choirs to have been continually at the forefront of the choral music scene in Britain. The choir has performed with all of the London orchestras (recently the LSO, Philharmonia and BBCSO), in Royal Opera House productions (recently La Bohème and Tosca), on national radio and on television (BBC, ITV and Classic FM) and on film soundtracks (including Philomena and The Hobbit). 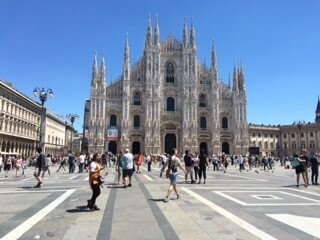 The choir gives regular concerts in London and tours annually (destinations have included Australia, China, Russia, Czech Republic, Italy and Spain). It has an extensive, Grammy-nominated discography (including Mahler 8/Tennstedt, Puccini Il Trittico/Pappano, Britten Billy Budd/Hickox and Britten War Requiem/Masur). 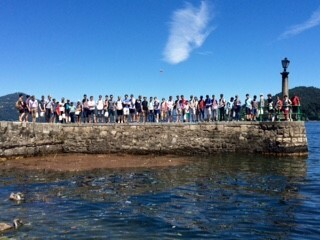 Tiffin Oratorio Choir is formed of over 200 pupils, parents, staff, alumni and other members of the local community. Open to all, the choir rehearses on Wednesday evenings (7-9pm, School Hall) during the Autumn Term, to prepare a concert given in November with professional orchestra and soloists. Each year, more than a quarter of Year 7 pupils join this choir, rehearsing each Wednesday lunchtime and joining the main choir a few weeks before the performance. The choir welcomes new members: please contact the Director of Choral Music, James Day for more details. Tiffin Children’s Chorus is formed of over 80 girls and boys aged 8-16 from schools across Kingston. Open to all, the choir rehearses on Mondays from 4pm at Tiffin School. Tiffin Children’s Chorus regularly performs not only with the Tiffin Boys’ Choir and Oratorio Choir, but also at other events across the borough, recently including The Rose Theatre Christmas Concert, Kingston Arts’ Festival of the Voice and the Royal Opera House production of La Boheme. The choir welcomes new members: please contact the Director of the Children’s Chorus, Sian Cadogan for more details. At Tiffin, over 400 pupils learn to play a musical instrument. Taught by a team of 25 visiting music staff, individual music lessons are available on all woodwind, brass, string and keyboard instruments. Every week, a wide range of instrumental ensembles rehearse in the music department. For each instrumentalist, whatever his interest or ability, there is an ensemble for him. Tiffin instrumentalists are given the opportunity to join an Orchestra, Chamber Orchestra, Wind Band, Brass Band, Swing Band, String Orchestra, Jazz Combo, String Ensemble, Clarinet Choir, Guitar Ensemble and other wind, brass and string chamber groups. 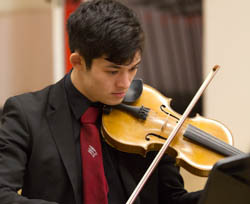 Tiffin instrumental ensembles perform a wide variety of challenging works, recently including symphonies by Dvorak, Beethoven and Haydn, concertos by Bach, Vivaldi and Corelli, jazz standards by Gershwin, Duke Ellington and Louis Prima, as well as film, musical theatre and pop arrangements. To join an ensemble, pupils should simply attend the next rehearsal. More details of the times, locations and standard required can be found on the music rehearsals timetable (displayed in the music department and on the department website). TYO and TYJO, founded at Tiffin School and Tiffin Girls’ School in 2005, now have a membership of over 80 players from 18 local schools. Many Tiffin instrumentalists audition to join these ensembles which perform at venues around London and on tour across Europe. Evening rehearsals take place on Mondays (TYO, Tiffin Girls’ School) and Fridays (TYJO, Tiffin School). 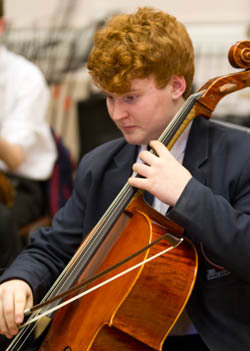 Following their involvement in music at Tiffin, an exceptional number of pupils have won music scholarships to study a wide range of subjects at Cambridge, Oxford and other Russell Group universities. In recent years, Tiffinians have been awarded choral scholarships to sing with the choirs of King’s, St. John’s, Jesus, Clare, Trinity, Emmanuel and Queen’s colleges in Cambridge, and Magdalen, Queen’s, Exeter and Oriel colleges in Oxford. You are encouraged to join the Friends of Tiffin Music (FoTM) to support the work of the music department. For more information on how to join, please click here: information. A rarity amongst boys' schools, the teaching of dance in recent years has helped many Tiffinians to find new means of expression and develop their considerable natural talents. Not least of these is Nitesh Nagrath, whose choreography for "Impulse" saw him earn a National Young Choreographer award and have the piece performed by five Tiffin boys at the Royal Opera House in 2012. That performance can be watched in the video player above. Once-fortnightly dance lessons are compulsory for years 7, 8 and 9. The curriculum is designed especially for boys and students learn to explore different dance styles and develop their own creative and choreographic works. They also have the chance to take part in dance workshops led by professional dancers at least once per year. Gifted and talented students are invited to join the Tiffin Junior Dance Company and will represent the school at different performance events, high profile projects and festivals. To follow this, boys then have the opportunity to take on the subject at GCSE level. The course is 60% practical and broad in scope, covering four key aspects: Critical Appreciation, Set Dance, Performance and Choreography. After completing their GCSE Dance course students are encouraged to continue to develop their passion for dance performance and choreography by auditioning and taking part in various schemes including the Centre of Advanced Training at Laban (non-residential, professional training programmes for young people aged 10 to 18 years who demonstrate exceptional potential in dance) and the Young Creatives choreographic competition at the Royal Opera House. Tiffin Dance Company is a group of dedicated year 10 and year 11 GCSE Dance students. Dancers meet once per week after school in addition to their GCSE dance lessons and produce high quality, innovative choreographies which later are performed at some of London's top Dance venues and Youth dance events. Drama is an integral part of the Curriculum and Co-Curriculum at Tiffin. As a subject it is compulsory in Years 7 and 8 and an option in year 9, with both GCSE and A Level Drama available to our most enthusiastic dramatists, of which there are many with the current GCSE cohort totalling 100 students. We take students to see a wide range of productions every year to engage them in the experience of live theatre; recent trips have included The Curious Incident of the Dog in the Night time, Macbeth, Constellations, War Horse, Timon of Athens, The Woman in Black and Jerusalem. We also offer workshops for boys and have been fortunate enough to work closely with The Bear Trap Theatre Company and The Rose Theatre. Drama at Tiffin does not end in the classroom, with a range of opportunities for pupils of all ages. Every year we run a main school production which is open to students from year 7 to year 13 and is a perfect opportunity for boys to mix with different year groupsas well as girls we invite to auditon from Tiffin Girls School. We rotate the productions every year between plays and musicals and the most recent productions include William Shakespeare’s ‘Richard III’, Sondheim’s ‘Sweeney Todd’ and Gogol’s ‘The Government Inspector’. Alongside this we run a lower school production to give more opportunities for boys in Years 7, 8 and 9 to take centre stage. This has been incredibly successful and afforded the boys an opportunity to approach the challenges of learning script and engaging with an audience. 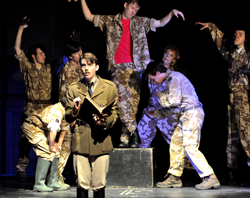 In 2011 we produced a highly successful version of ‘The Lord of the Flies’ and in 2013 a production of George Orwell’s ‘Animal Farm’. 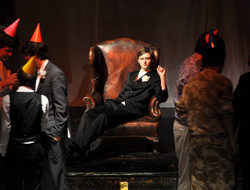 In 2012 we introduced a Sixth Form studio production to the school, with a highly acclaimed production of Laura Wade’s ‘Posh’ a play that had only recently ended a hugely successful run in the West End and was greatly received here by students and parents alike. 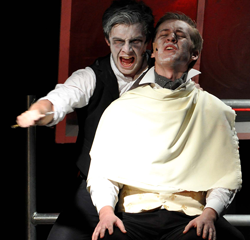 This term's Sixth Form Production is 'The Last Days of Judas Iscariot' by Stephen Adly Guirgis. 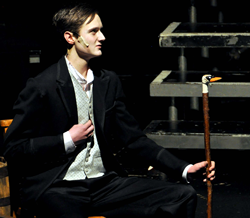 Students are also encouraged to put on their own productions and in the last year we have seen productions of a very high standard from ‘The History Boys’ to ‘The Importance of Being Earnest’. There are a number of boys who enjoy the technical aspects of production such as, Sound and Lighting and we encourage those boys to come forward and volunteer themselves for roles within the productions. We also run a lower school drama club to encourage budding young performers and boys who perhaps lack the confidence of their peers and would like the opportunity to work in a relaxed and fun environment with like-minded individuals. Drama also plays a part within the House System with an annual House Drama competition where the boys write and direct their own original work to be judged by an outside adjudicator. This is a fantastic event and again encourages boys from all year groups to get involved. 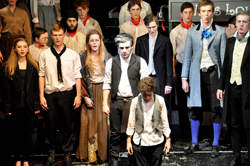 Drama is an established part of Tiffin life and is continuously expanding and evolving and we encourage all students to get involved in either the performance or technical aspects of the drama that is on offer at the school.